Famous landmarks in Boston include Faneuil Hall, the Old State House, Quincy Market and the Boston City Hall. Top tourist attractions in Boston are the Boston Aquarium, the USS Constitution, Harbor Walkway and the historic Meeting House. Popular Boston museums include the Museum of Contemporary Art, the Fine Art Museum and the Natural History Museum. 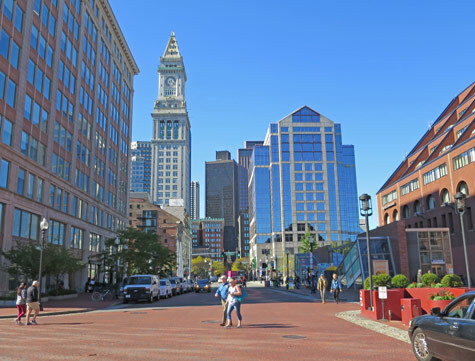 Excellent hotels can be found in downtown Boston, near the airport and in surrounding communities. In addition to Boston's huge Logan Airport, the city has an efficient subway system and a network of ferries that cross Boston harbor.